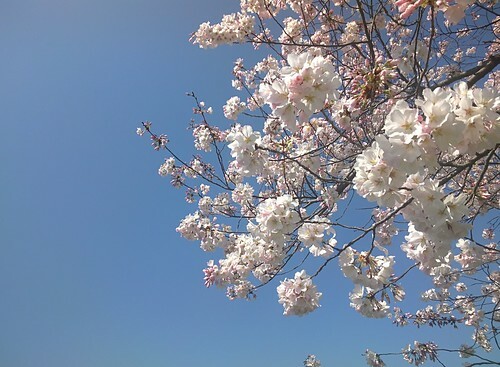 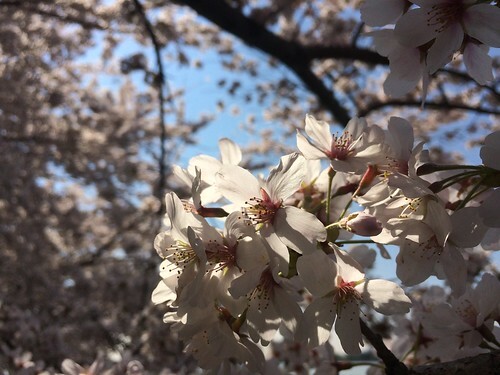 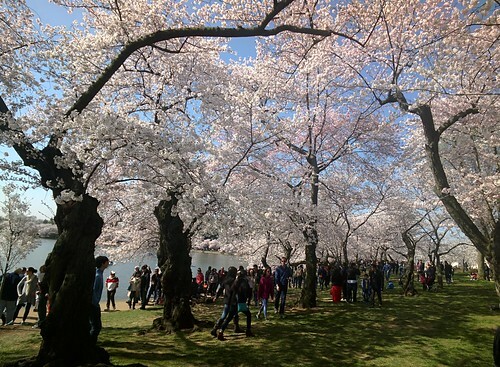 DC cherry blossom peak bloom came on a perfect Saturday just before Easter — early in the season after a warmer-than-usual winter. 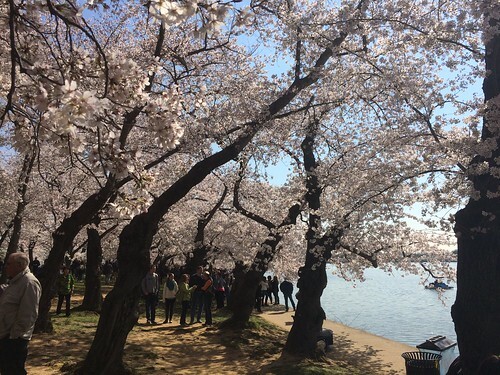 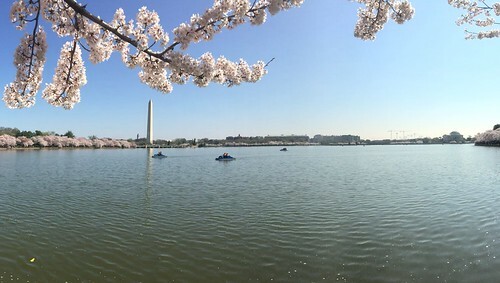 Crowds of people as always, but beautiful views of DC and the blossoms under a clear blue sky. 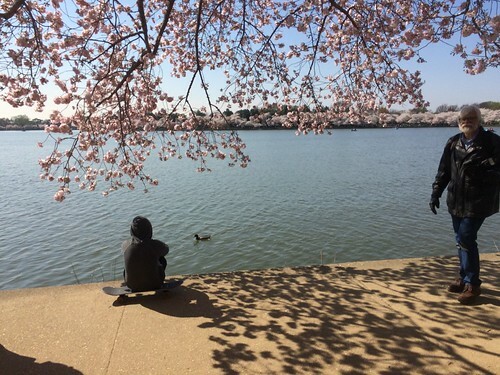 More in the Cherry Blossoms 2016 photoset, part of an unbroken string of DC cherry blossom photos dating back to 2004.